My memories of Aki Japanese Restaurant take me back to my single digit years of existence. I was a wee one then where cigarettes would be dispensed out of a machine and people could smoke them while they enjoyed their meal. Yes, that was at the entrance of the original Aki, located on Powell Street in the heart of Japan Town. Along with my parents, we enjoyed what was probably the most authentic and only sushi in Vancouver until the explosion of the cuisine in the late 80's and 90's. They've moved 2 times since and it was nice to visit an old friend after Friday night hockey. 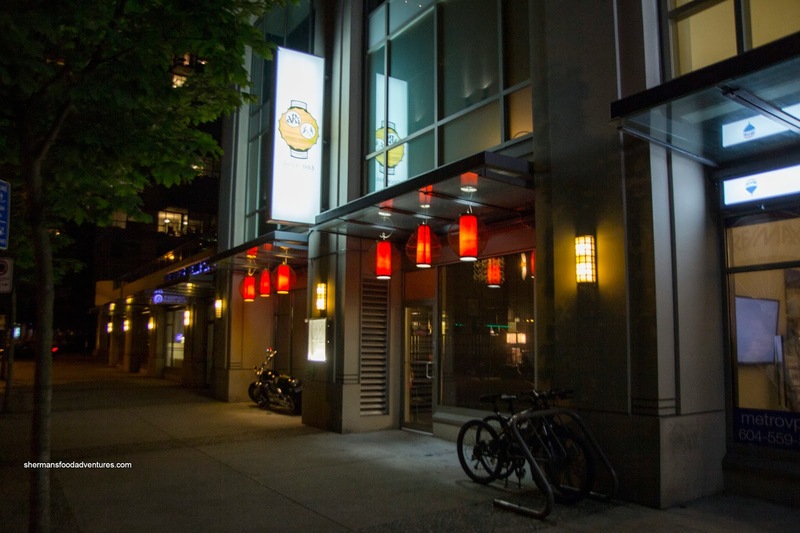 Taking over from the now closed Irashai Grill on Pender, Aki has gone upscale and chic, but their menu still remains pretty traditional. No funky dishes here, rather, the classics and just well-made food. 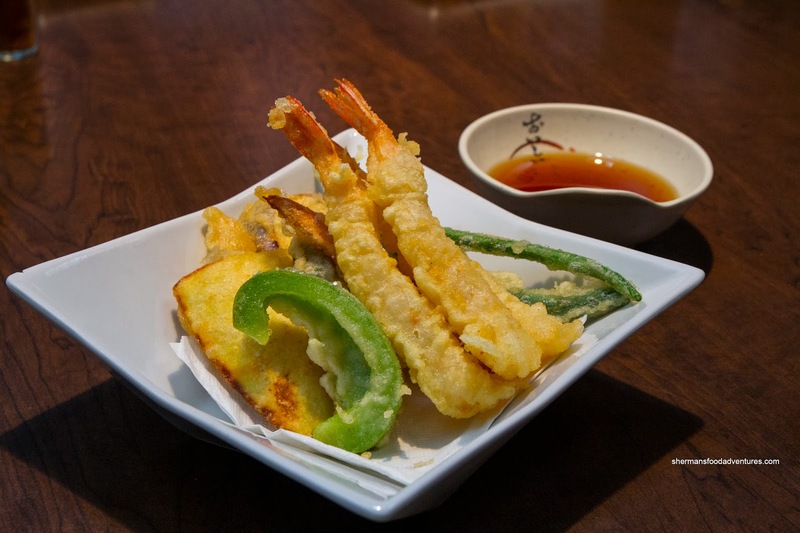 For myself, I started with an order of Tempura that had been delicately constructed and presented. The batter was barely there and super light. It was easy on the grease and each piece was cooked properly. 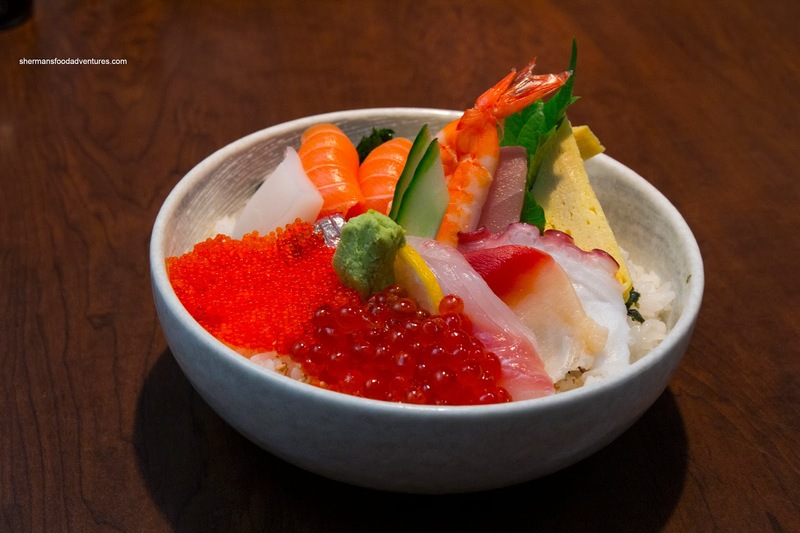 What it lacked in quantity was made up with quality was the Chirashi Don. With an attractive sheen and fresh (as fresh as flash frozen can get) ingredients, it was also well constructed (rather than merely being slapped together). The sushi rice was firm and chewy with a mild hint of vinegar and sugar. 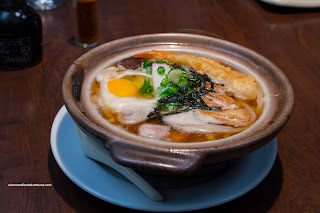 Emilicious went for the Nabeyaki Udon that consisted of the usual ingredients such as chicken, shiitake mushroom, ebi tempura, fish cake and raw egg. Setting it apart from many other versions out there, the dashi was flavourful and full of depth. It was sweet and a bit salty with a taste of the sea - a good indication it was indeed real dashi (made from bonito flakes and kelp). 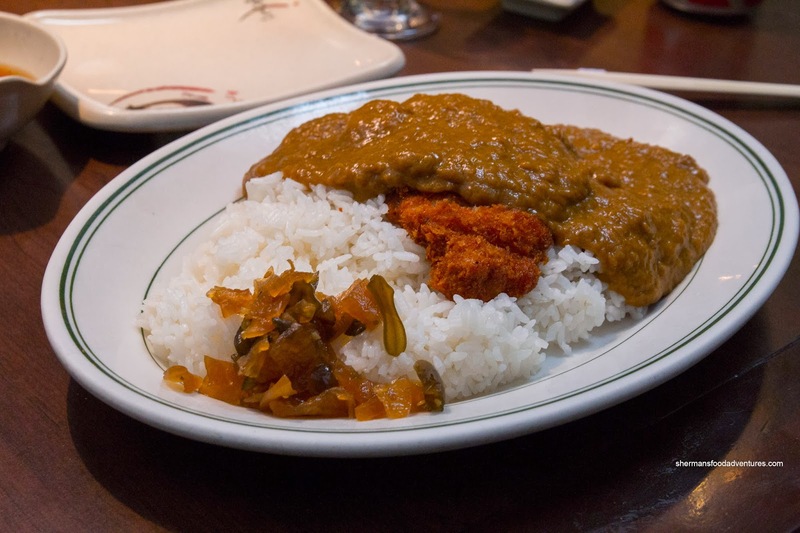 Lionel Hutz had the Curry Katsu which was not bad. He liked how the pork katsu was crunchy even after being doused with sauce. The meat was a touch dry though. As for the curry, it was not as sweet as we had imagined. It was pretty mild though with only a small hint of curry flavour. 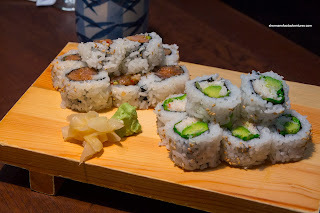 Gadget Girl opted to have maki sushi only in the form a Spicy Tuna Roll and California Roll. As you can see in the picture, nothing particularly amazing about the rolls, however, they were neatly made and not falling apart with a good ingredient to rice ratio. 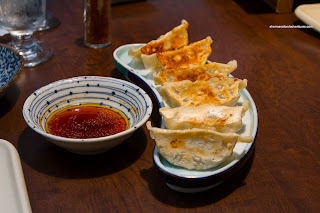 There was also an order of Gyoza at the table which were also prepared properly. The bottom was crisp and mostly browned (except for 2 of them) while the dumpling skin was thin. The filling was moist and processed enough that it wasn't chewy. As you can see, the food at Aki ain't exactly super progressive nor flashy. However, it is solid and prepared carefully. It's an oldie, but a great place to be reacquainted with real Japanese food.